Nice! 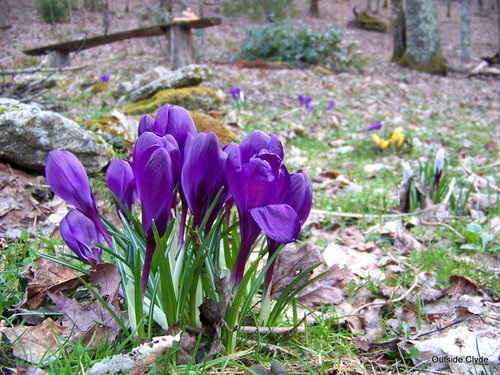 Your crocus are huge - really visible! These are some of the larger flowered variety. 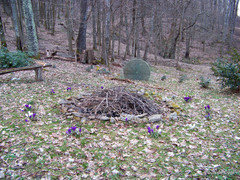 As they multiply over the years, the ring of crocus is getting visible from further and further away. I fell in a burning ring of crocus! 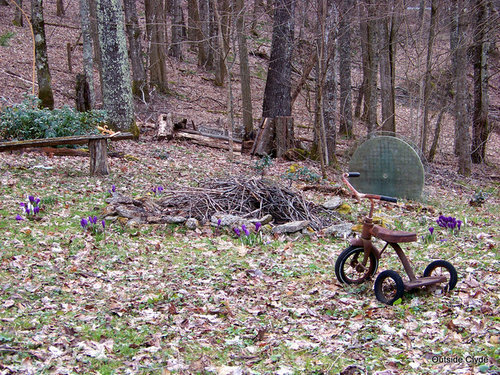 Surprised that you can grow crocus: the local deer herd adores them here. Mine get eaten by voles unless planted in hardware cloth cylinders. But I enjoy them and do plant a few for early spring. 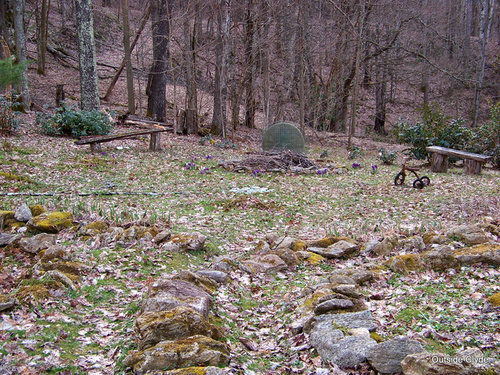 I enjoy that more southern gardeners post at this time of year when temperatures where I am are still in the teens and the ground is frozen and snow-covered. It gives me assurance that speeding will eventually arrive. 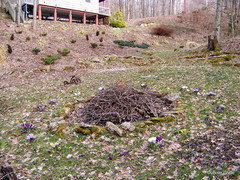 The burning ring of crocus! Ha ha. I hollered at the deer eating the crocus last week and she hasn't been back since. Voles can and will eat them too. Our supply exceeds demand for the most part. That has a lot to do with the deer population not being out of control here and having the full compliment of vole eaters. 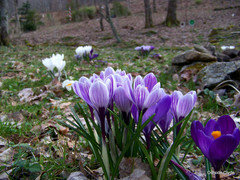 The crocus also self sow as well as multiply by bulb offsets. The sun came out today. It was 60 degrees. Next up - a polar blast with lows in the teens. I am expecting some freezer burn. How much is the question. If it were me, I'd throw some large pots over the larger bloom clumps to preserve them through that snow blast. No coddling in this garden. Nature runs the show. No worries. This garden holds layer upon layer of life. Do you plant bulbs in your yard? Improve curb appeal: First home help; Front landscaping suggestions? Skyline Collection Towel Ring, Antique Brass, 6"x1.5"x7"